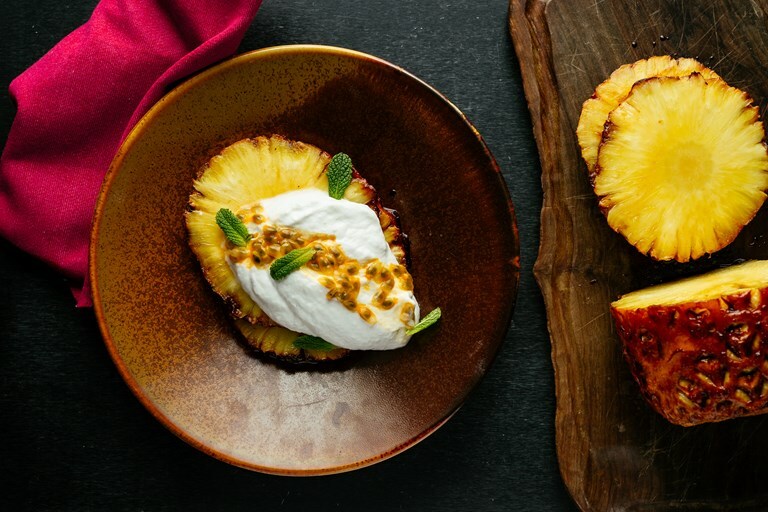 Chantelle Nicholson's vegan coconut mousse recipe is served with sumptuous roasted pineapple, basted in a caramel made of coconut sugar for a simple yet delicious dessert. The mousse is made from aquafaba – a great vegan egg white replacement which is actually just the water found in a tin of chickpeas. It will require some vigorous whisking, so use an electric hand whisk to save on the elbow grease. 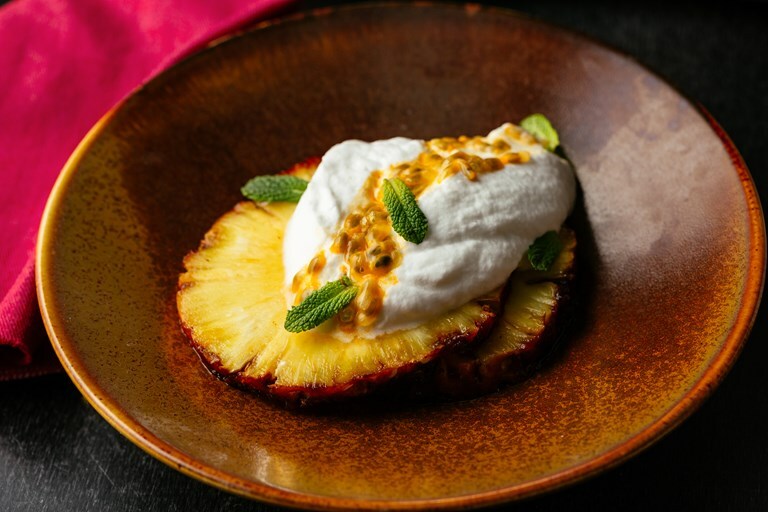 There will be pineapple left over, so use any excess to spruce up in breakfasts or desserts.